Shibuya is, along with Shinjuku, one of the main hearts of Tokyo, mostly dedicated to shopping and entertainment, and very popular among young people. Shibuya is popular and famous for shopping and youth fashion during the day, and discos, nightclubs and clubs of all kinds at night. In this area there is not much to visit in the strict sense, it is a neighborhood to explore, walking around its streets. 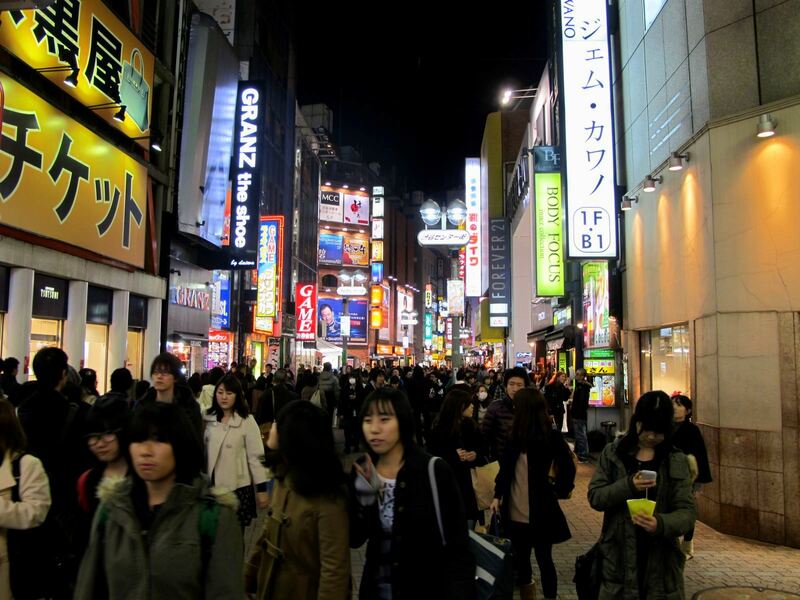 It is also a perfect place to make purchases of all kinds, in the thousands of small shops scattered around the neighborhood or in the branches of many famous department stores around Shibuya station: Parco, Loft, Tokyu, Tokyu Hands, Marui, Seibu. 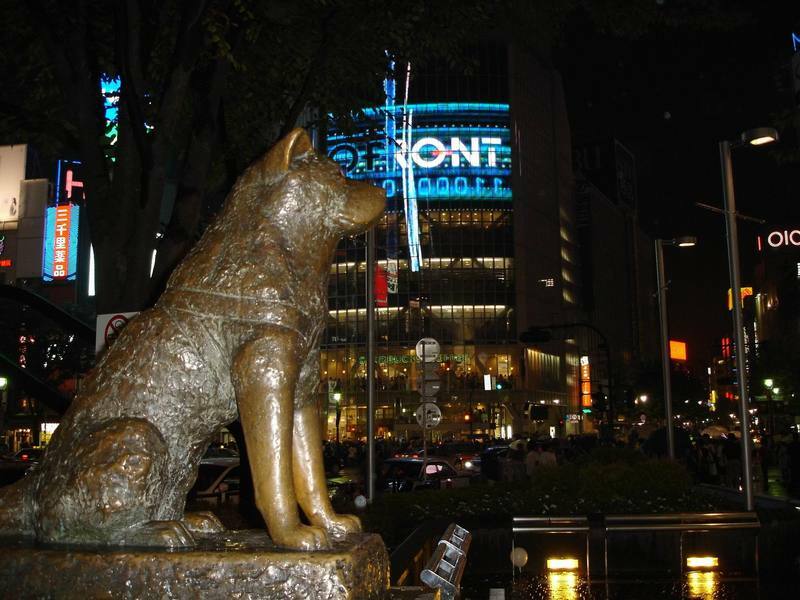 The statue of Hachiko depicts a dog whose story is now famous around the world, especially after the release of the film ("Hachi: A Dog's Tale", 2009). He became famous for his enormous loyalty to his owner, Professor Hidesaburō Ueno. After the sudden death of Ueno, the dog went every day, for nine years, to wait for him at the station where the man used to take the train to get to work. In 1934, when the dog died, the local community, deeply moved, decided to dedicate him a statue, which today is still there, in front of Shibuya Station. To find it, just follow the signs to the Hachiko exit of Shibuya station. The area around the statue is always very crowded, because of the many Japanese people using this place as a meeting point and the tourists who want their selfie with the most famous akita dog in the world. RIght in front of the Hachiko exit of Shibuya station you can find the most famous intersection in the world. When the traffic lights for cars turn red, the street gets filled with thousands of people crossing it in all directions, it's an incredible scene to see. You can cross the crossing with your own feet or observe the multitude of human beings from several strategic points. In particular, the glass windows of the Starbucks cafe located in front (but getting a table next to the windows might be a mission impossible), or the walkway over the road within the Shibuya Mark City. 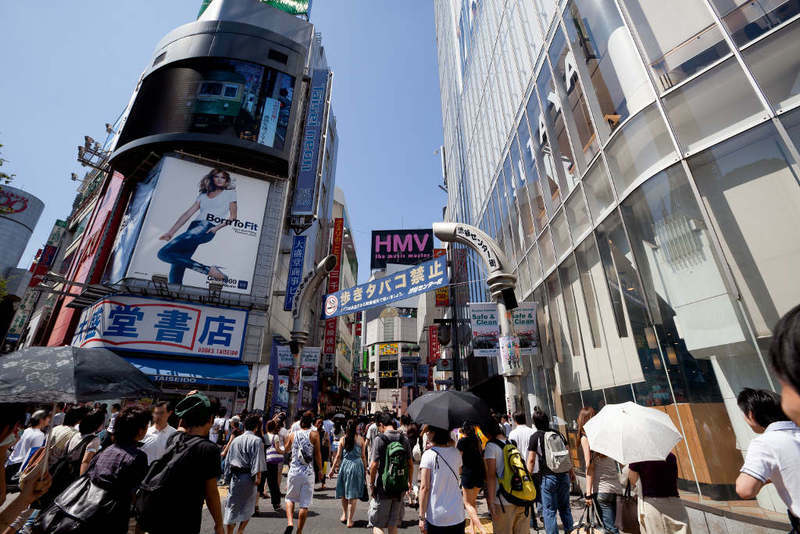 A very famous pedestrian street in Shibuya (350 meters long), you can get there by crossing the well-known intersection and heading in the direction of the huge HMV sign. Around this street there are a lot of music stores, clothes stores (also second-hand clothes), restaurants, bars and arcades. It is the birthplace of many Japanese youth fashion trends. Dogenzaka, also known as the Love hotel hill, is an area with a high concentration of love hotels of all kinds and for all budgets. What are love hotels? In recent years, besides the various love hotels, more and more red-light establishments have been opening. Mandarake is a chain of stores for otaku, specializing in anime, manga, doujinshi, action figures and various related stuff. A quite large underground store is located in Shibuya (see map at the bottom), other two branches are located in Akihabara and Nakano. Shibuya is one of the areas of Tokyo where to find several discos and clubs, along with Roppongi. 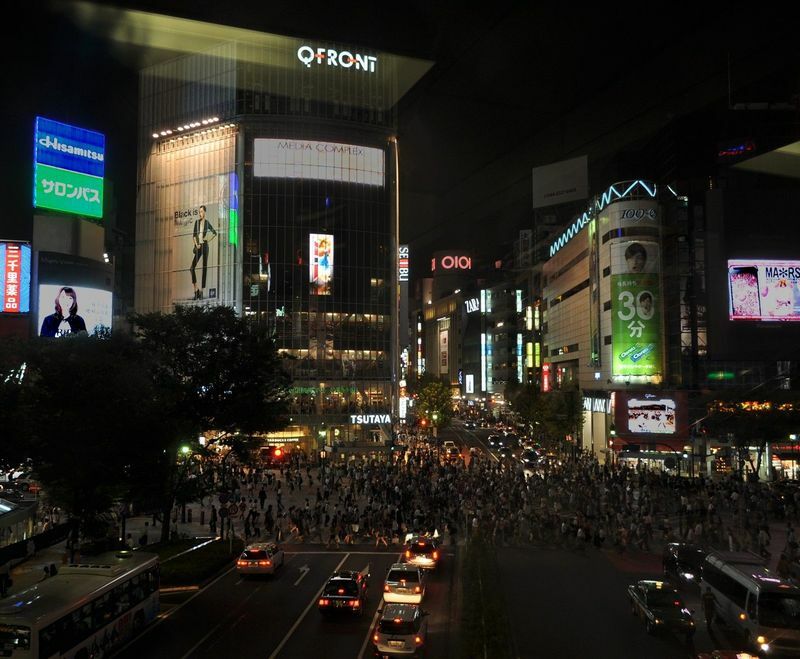 While Roppongi is usually full of foreigners and the Japanese are few, in Shibuya the percentage of local people is higher. A very little and unknown area of Shibuya, a neighborhood usually famous for its neon, fashion stores, department stores, nightclubs and crowds of young people. Nonbei Yokocho is on the contrary a quite narrow street full of litte bars, you can get there easily from the Hackiko exit of Shibuya station, passing through the underpass under the tracks and turning immediately left. 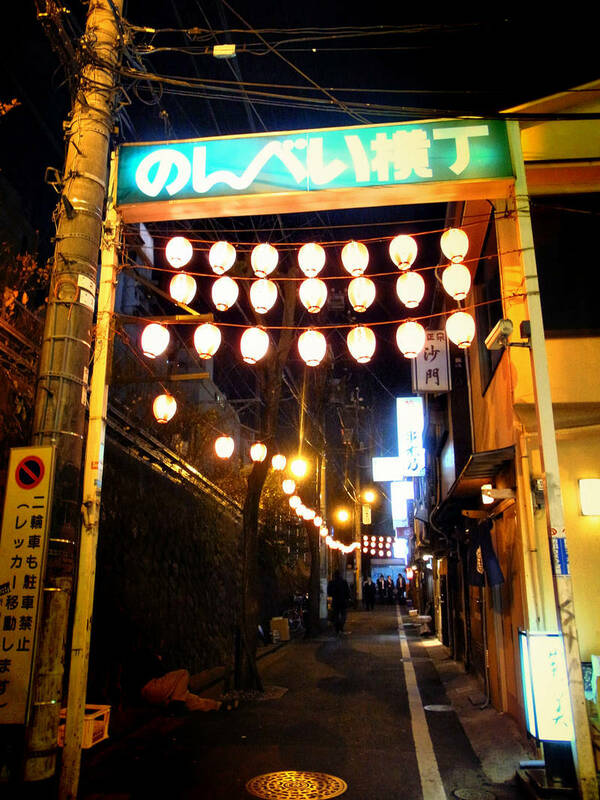 The bars are very small, similar to those of Golden Gai in Shinjuku, perhaps they're even smaller, with very few seats. A strange characteristic is that all these bars don't have their own toilets, but they share some public toilets out in the street. If you can't speak japanese, it's highly recommended to go there with some japanese friends. Gonpachi is located on the 14F of the E-Space Tower (see the map at the bottom). This restaurant is famous for its soba dishes, but the menu includes many different kinds of food, you can read it in their english website. Just north of the station there is also a branch of Ichiran ramen. 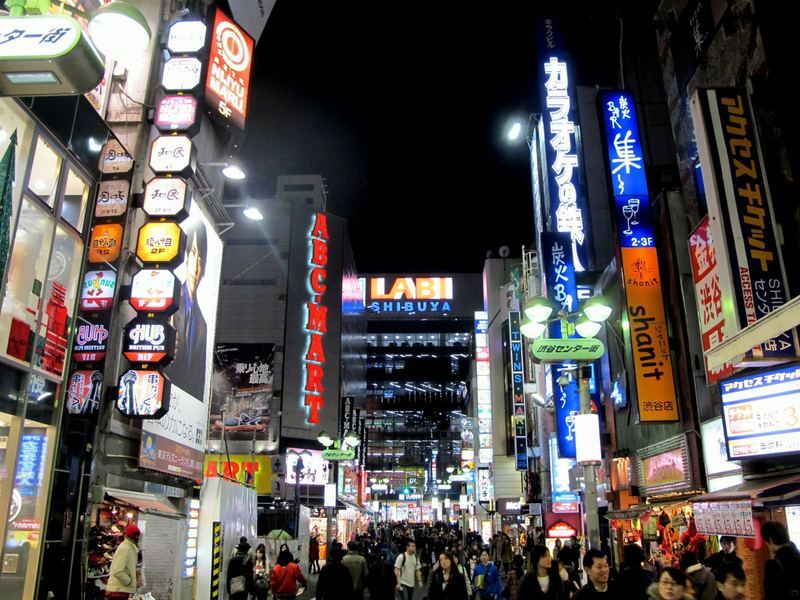 Shibuya is a very recommended neighborhood where to stay, since it has a very active nightlife, and its position is also perfect as a starting point to visit the other areas of the city. In this area there aren't so many hotels, and most of them belong to a high price range. If you have lots of money to spend I recommend you a room with city view at the Tokyu Excel Hotel or the Cerulean Tower hotel, but we are talking about at least 20,000 yen per night. One of the cheapest in the area (but not so cheap, sometimes you can find good offers) is the Shibuya Tobu hotel, another one is the Tokyu Inn. For those who have no money the Bagus internet cafe inside the building with the HMV sign is perfect, in central position, and it is not the only internet cafe in the area, there are others. Shibuya station is a very congested station served by several lines. You can get there easily from many areas of the city. JR lines: Yamanote line, Saikyō Line, Shōnan–Shinjuku Line. Tokyo Metro lines: Ginza line, Hanzomon Line, Fukutoshin Line. Other private lines: Keio Inokashira line, Tōkyū Den-en-toshi line, Tōkyū Tōyoko line (very useful to/from Yokohama). 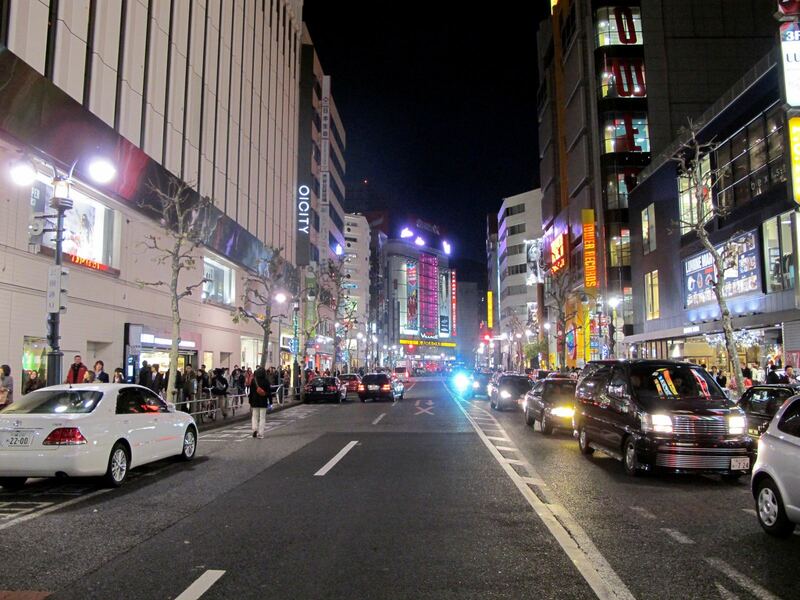 You could get to Shibuya also on foot from Harajuku area or even from Shinjuku (a very long walk in the latter case).